I made an old dress! If you read this blog back in the day you might recognise this design, as I first made it in a blue geometric print cotton back in 2012. That dress was worn to death over several summers and I remember it being so comfortable in the heat. Although I still have it I feel it is rather loud for my current taste so I don’t wear it much now. It is not often that I remake a pattern, especially one that is so distinctive, but I needed a summer dress real fast. Of course, the day I finished this one the hot humid weather disappeared ha! It is kind of hard to tell in this busy fabric, but the bodice has vertical gathers over the bust and is flat through the midriff. The gathered skirt is narrower than the original dress, which was very full and rather dangerous in the wind! The fabric is a burgundy floral viscose crepe from The Fabric Store (purchased last summer) and is lovely and drapy and cool to wear. The black contrast fabric is linen – not my first choice, but it used up a remnant from stash so that is a win! It probably needed to be fused as the bands tended to distort around the curves, unlike the stable cotton I used in the original dress. In the interests of keeping everything lightweight I didn’t fuse anything, and consequently there are a few wiggly bits where the bands aren’t 100% even. But we won’t stress about that. I think it is time I abandoned centre back zips as I can’t actually do them up anymore! I usually get Steven to zip up those last few inches, but the other day I forgot and turned up at work flashing my underwear! Normally I would choose a black zip for this dress so the pull would be disguised against the black linen band, but I have a bundle of burgundy zips that need using up so just I sewed one of them in. Gives it that homemade touch! So I’ve ended up with something quite different to what I had planned for this fabric. In some ways I wish I stuck with my original plan (for a boho-ish midi dress with a flounce or two) because I think that would be more ‘me’ and more fashionable too, but what the heck – it is too late now! Are you good at sticking to your original plan for a fabric? Or do you often end up changing your mind impulsively too? I think your dress looks just perfect on you. I hope the good weather returns soon, so that you can show it off! Thank you! I have been making good use of it before autumn arrives! Thank you! It is getting a lot of wear because it is so comfortable to wear, and dresses are so easy! What a pretty dress! It may be a bit more print than you are comfortable with, but the black bands ground the colours. Love it! Thanks! The print is quite bold for me, but not as bold as the last one! The colour is what attracted me to the fabric the most – love burgundy! perfect summer dress – I like the bold contrast of the black bands, makes it interesting. so pretty! Thanks Beth – there is quite a lot of black outlines in the print that isn’t that obvious in my photos, so the black works even better in real life! I love your dress too! I think it suits you so well and has nice movement and having linen bands will ensure it’s definitely cool for the hot days inevitably ahead! I almost ALWAYS change my mind about what I’ll use a fabric for 🙂 I don’t know what that is – it can be frustrating at times but as I’m going along making things I’ll just reach into my stash for what I think would suit the pattern best and that fabric was likely intended for something completely different. 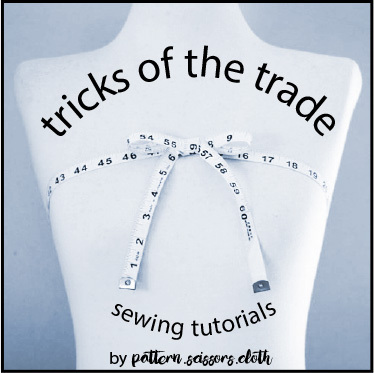 It takes so much experience to REALLY know what fabric choice is best for a certain pattern and I’m still on a learning curve when it comes to this aspect of sewing. It is great to have some stash to choose from for those impulse projects, but I know sometimes I choose fabric that ‘will do’ rather than the ideal perfect fabric. All in good fun! You need an excuse?! Just back from US and Canada and I didn’t go into even 1 fabric shoppe – so proud! That’s a great design and beautiful dress/fabric. Yes, I change my mind too, as I sometimes even forget what I was going to make with the fabric. I think labelling fabric with the pattern might help. Again, beautiful dress and it really suits you. Labelling is a great idea, but I have resigned myself to the fact that I am no good at sticking to a plan! Thank you for the lovely compliments! The dress is lovely and looks perfect on you. I tend to forget why I bought the fabric if it sits in the stash for more than a minute…oh well! Haha – maybe you could try labelling your fabric! It is not a bad thing to be flexible and open to new ideas. That really looks fantastic! So beautiful! That is a gorgeous dress-I love the contrast and the midriff. Pretty! Thanks – I really like the lines of the bodice too, good for a smaller bust! Beautiful dress, Sheryll. Fits perfectly (of course!) and looks just thing for hot weather.